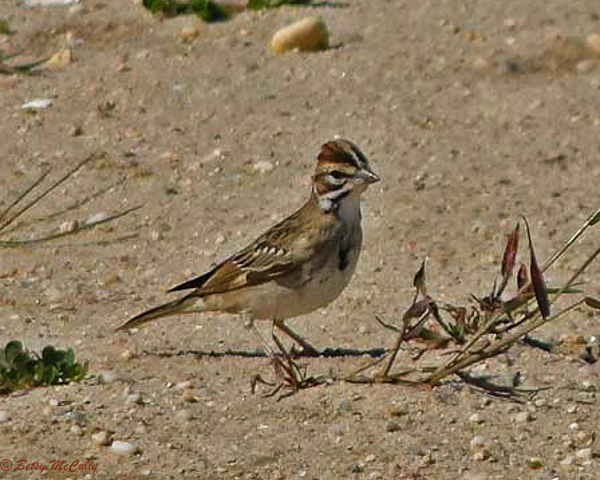 Lark Sparrow (Chondestes grammacus). Jones Beach. Grasslands. Western stray.